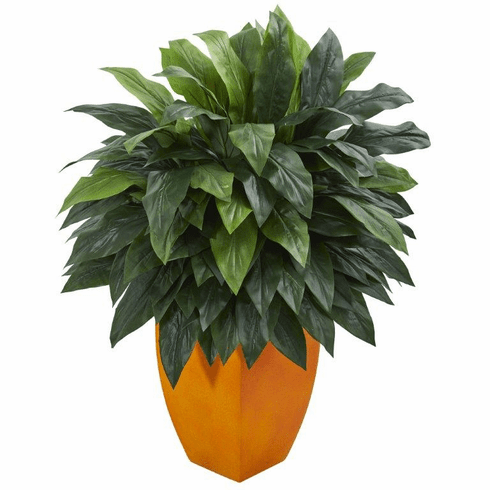 With an eye-popping orange square planter, this artificial cordyline plant is hard to miss in any room. It's staple feature is its large, densely clustered multi-hued leaves that are trimmed for a sharp look. Bold and dramatic, it's the perfect center piece for any large table in your home. Very little complementary decor is needed to enhance this artificial plant's stunning appearance, it manages fine on its own! Size: Height: 44 In., Width: 32 In., Depth: 32 In.